These Terms of Service (the “Agreement “) set forth the terms and conditions that apply to your use of the The-Santa-Claus-Conservatory.com web sites and the services and materials on those sites offered to you by The-Santa-Claus-Conservatory.com (the “Service”). By using the Service, you agree to the terms of this Agreement as if you had signed it. If you do not agree to be bound by this Agreement, please discontinue your use of the service. 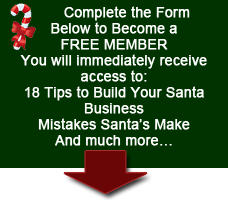 Your paid access toThe-Santa-Claus-Conservatory.com allows access to you ONLY. Your access User Name and Password may NOT be shared with any other person or website and may not be published in any way.As part of the Service you will be provided access to videos, information, forums, chat rooms, links to other web sites and other services that The-Santa-Claus-Conservatory.com may decide to offer, subject to these Terms of Service. The-Santa-Claus-Conservatory.com may, in its sole discretion, discontinue or alter any aspect of the Service, including, but not limited to restricting, (i) the time of availability, (ii) the availability and/or scope of the Service for certain platforms (i.e. computer types and operating systems), (iii) the amount of use permitted, and (iv) restricting or terminating any user’s right to use all or part of the Service, at any time in The-Santa-Claus-Conservatory.com’s sole discretion and without prior notice or liability. “Content” includes the software, communications, any graphics (including textures, skins, and components) sounds, music, video, audio, text and all other material and information uploaded or made available by The-Santa-Claus-Conservatory.com, you or any other user on the Service. Content is derived in whole or in part from material supplied and owned by The-Santa-Claus-Conservatory.com and other sources. This material is protected by copyright, trademark and other applicable laws. You may not allow acces to third parties, modify, copy, reproduce, republish, upload, post, transmit, publicly display, prepare derivative works or distribute Content from the Service without the express authorization of The-santa-claus-conservatory.com. The-Santa-Claus-Conservatory.com does not pre-screen all Content available on the Service and does not assume any responsibility or liability for Content provided by users of the Service or by third parties. The-Santa-Claus-Conservatory.com reserves the right to remove at its sole discretion Content for any reason. Neither The-Santa-Claus-Conservatory.com nor its affiliates assume any liability for failure to remove, or delay in removing Content. 5.1. By uploading Content, inputting data, or engaging in any other form of communication (a “Communication”) through the Community Areas and the Service you are granting The-Santa-Claus-Conservatory.com a royalty-fee, irrevocable, perpetual, non-exclusive, unrestricted, worldwide license to (i) use, copy, sublicense, adapt, transmit, publicly perform, display, or create derivative works from any such Communication, and (ii) sublicense to third parties the unrestricted right to exercise any of the foregoing rights granted with respect to such Communication. 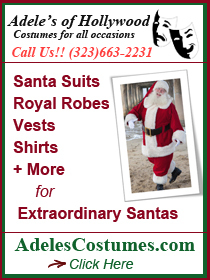 No Communication will be subject to any obligation of confidence on the part of The-santa-claus-conservatory.com. You waive and relinquish any “moral rights” that may exist in any Communication, and agree not to assert any moral rights in any Communication. 6. Content in the Community Areas and on the Service. 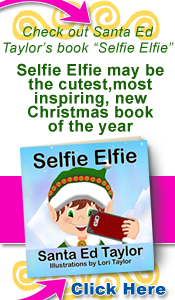 Communications posted in the Community Areas and through the Service are provided by users who are unaffiliated with The-santa-claus-conservatory.com, and the user providing each such Communication is solely responsible for its content. In using the Community Areas or receiving messages through the Service, you should not assume that such messages have been reviewed by The-santa-claus-conservatory.com, that such Communications contain correct information, or that the persons posting such Communications have accurately identified themselves and/or their affiliation with any third party. You understand that by using the Service, you may be exposed to Communications that are offensive, indecent, or objectionable. Under no circumstance will The-Santa-Claus-Conservatory.com be liable in any way for any Communication, including, but not limited to, liability for any errors on omissions in any Communication, or for any loss or damage of any kind incurred as a result of the use of any Communication posted, e-mail, or otherwise transmitted via the Service. When using the Service, please be certain that anything that you say does not compromise your personal safety. We recommend you do not share your phone number or postal address with anyone you do not know. Do not share your password with anyone, or any other personally identifying information to people you do not know. Do not continue any conversation online that makes you feel uncomfortable. If you choose to share personal information with other active members in the community, The-Santa-Claus-Conservatory.com is not liable for any results of that sharing of information. 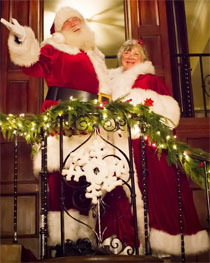 The-Santa-Claus-Conservatory.com is pleased to hear from users and welcomes your comments regarding The-Santa-Claus-Conservatory.com’s programs and services. The-Santa-Claus-Conservatory.com’s values your feedback. Your correspondence or business dealing with, or participation in promotions of merchants found on or through the Service, including payment and delivery of related goods or services, and any other terms, conditions, warranties, or representations associated with such dealings, are solely between you and such merchant. The-Santa-Claus-Conservatory.com will not be responsible or liable for any loss or damage of any sort incurred as the result of any such dealings or as the result of the presence of such merchants on the Service. 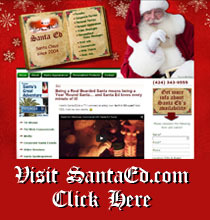 The-Santa-Claus-Conservatory.com HAS PROVIDED LINKS AND POINTERS TO INTERNET SITES MAINTAINED BY THIRD PARTIES (“THIRD PARTY SITES”) AND MAY FROM TIME TO TIME PROVIDE THIRD PARTY MATERIALS ON THE SERVICE. NEITHER The-santa-claus-conservatory.com, ITS PARENT OR SUBSIDIARY COMPANIES NOR ITS AFFILIATES OR SUPPLIERS OPERATE OR CONTROL IN ANY RESPECT ANY INFORMATION, PRODUCTS OR SERVICE ON THESE THIRD PARTY SITES. 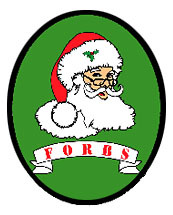 THE SERVICE, THE MATERIALS AND PRODUCTS AVAILABLE IN OR ACCESSIBLE THROUGH THE SERVICE, AND THE THIRD PARTY SITE ARE PROVIDED “AS IS” AND, TO THE FULLEST EXTENT PERMISSIBLE PURSUANT TO APPLICABLE LAW, The-Santa-Claus-Conservatory.com DISCLAIMS ALL WARRANTIES, EXPRESS OR IMPLIED, INCLUDING, BUT NOT LIMITED TO, IMPLIED WARRANTIES OF MERCHANTABILITY, FITNESS FOR A PARTICULAR PURPOSE AND NON-INFRINGEMENT, AND WARRANTIES IMPLIED FROM A COURSE OF PERFORMANCE OR COURSE OF DEALING. The-Santa-Claus-Conservatory.com DOES NOT WARRANT THAT THE FUNCTIONS CONTAINED IN SUCH MATERIALS AND PRODUCTS, OR IN THE SERVICE, WILL BE UNINTERRUPTED OR ERROR-FREE, WILL BE AVAILABLE FOR USE, THAT DEFECTS WILL BE CORRECTED, OR THAT THE SERVICE, INCLUDING THE STORAGE SERVICES AND THEIR CONTENTS, OR THE SERVER THAT MAKES THEM AVAILABLE, ARE FREE OF VIRUSES OR OTHER HARMFUL COMPONENTS. The-Santa-Claus-Conservatory.com DOES NOT WARRANT OR MAKE ANY REPRESENTATIONS REGARDING THE USE, OR THE RESULTS OF THE USE, OF THE MATERIALS IN THE SERVICE OR IN THIRD PARTY SITES IN TERMS OF THEIR CORRECTNESS, ACCURACY, TIMELINESS, RELIABILITY, COMPLETENESS OR OTHERWISE. You assume all risk of errors and/or omissions in the Service, including the transmission or translation of information and the completeness, accuracy and usefulness of any content found on the Service. You assume full responsibility for implementing sufficient procedures and checks to satisfy your requirements for the accuracy and suitability of the Service, including the information, and for maintaining any means that you may require for the reconstruction of lost data or subsequent manipulations or analyses of the information provided. You acknowledge and agree that your use of the Service, and any information sent or received in connection with that use, may not be secure and may be intercepted by unauthorized parties. 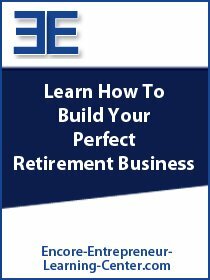 YOU ASSUME RESPONSIBILITY FOR THE ENTIRE COST OF NECESSARY MAINTENANCE, REPAIR OR CORRECTION TO YOUR COMPUTER SYSTEM OR OTHER PROPERTY. IN NO EVENT WILL The-santa-claus-conservatory.com, ITS PARENT OR SUBSIDIARY COMPANIES OR ITS AFFILIATES OR SUPPLIERS BE LIABLE FOR ANY DIRECT, INDIRECT, PUNITIVE, INCIDENTAL, SPECIAL, CONSEQUENTIAL OR OTHER DAMAGES ARISING OUT OF OR IN ANY WAY CONNECTED WITH THE USE OF THE SERVICE OR WITH THE DELAY OR INABILITY TO USE THE SERVICE, OR FOR ANY INFORMATION, SOFTWARE, PRODUCTS AND SERVICE ADVERTISED IN OR OBTAINED THROUGH THE SERVICE, REMOVAL OR DELETION OF ANY MATERIALS OR RECORDS SUBMITTED OR POSTED ON ITS SITE, OR OTHERWISE ARISING OUT OF THE USE OF THE SERVICE, WHETHER BASED ON CONTRACT, TORT OR STRICT LIABILITY OR OTHERWISE, EVEN IF The-Santa-Claus-Conservatory.com OR ANY OF ITS SUBSIDIARY COMPANIES, AFFILIATES OR SUPPLIERS HAS BEEN ADVISED OF THE POSSIBILITY OF DAMAGES. THIS WAIVER APPLIES WITHOUT LIMITATION, TO ANY DAMAGES OR INJURY ARISING FROM ANY FAILURE OF PERFORMANCE, ERROR, OMISSION, INTERRUPTION, DELETION, DEFECT, DELAY IN OPERATION OR TRANSMISSION, COMPUTER VIRUS, FILE CORRUPTION, COMMUNICATION-LINE FAILURE, NETWORK OR SYSTEM OR OUTAGE, OR THEFT, DESTRUCTION, UNAUTHORIZED ACCESS TO, ALTERATION OF, OR USE OF ANY RECORD. YOU SPECIFICALLY ACKNOWLEDGE AND AGREE THAT The-santa-claus-conservatory.com, ITS PARENT OR SUBSIDIARY COMPANIES, AFFILIATES OR SUPPLIERS WILL NOT BE LIABLE FOR ANY DEFAMATORY, OFFENSIVE OR ILLEGAL CONDUCT OF ANY USER OF THE SERVICE. SOME STATES DO NOT ALLOW LIMITATIONS ON HOW LONG AN IMPLIED WARRANTY LASTS, SO THE ABOVE LIMITATION MAY NOT APPLY TO YOU. SOME STATES DO NOT ALLOW THE EXCLUSION OR LIMITATION OF INCIDENTAL OR CONSEQUENTIAL DAMAGES, SO THE ABOVE LIMITATION OR EXCLUSION MAY NOT APPLY TO YOU. THIS WARRANTY GIVES YOU SPECIFIC LEGAL RIGHTS, AND YOU MAY ALSO HAVE OTHER RIGHTS, WHICH VARY, FROM STATE TO STATE. You agree to defend, indemnify and hold harmless The-santa-claus-conservatory.com, its affiliates and their respective directors, officers, employees and agents from and against any and all claims, actions, suits or proceedings, as well as any and all losses, liabilities, damages, costs and expenses (including reasonable attorneys fees) arising out of or accruing from (a) any Content or other material uploaded, posted or otherwise provided by you that infringes any copyright, trademark, trade secret, trade dress, patent or intellectual property right of any person or defames any person or violates their rights of publicity or privacy, (b) any misrepresentation made by you in connection with your use of the Service; and (c) claims brought by persons or entities other than the parties to this Agreement arising from or related to your access and use of the Service, including the information obtained through the Service. The-Santa-Claus-Conservatory.com may, in its sole discretion, terminate your use of the Service, or remove and discard any communication transmitted by you or information stored, sent, or received via the Service without prior notice and for any reason. Termination, suspension, or cancellation of this Agreement or your access rights will not affect any right or relief to which The-Santa-Claus-Conservatory.com may be entitled in law or in equity. Upon termination of this Agreement, all rights granted to you will automatically terminate and immediately revert to The-Santa-Claus-Conservatory.com and its licensors. Sections 3, 4, 5, 10, 11, 12, 13, 14, and 16 through 20 will survive any expiration or termination of this Agreement. 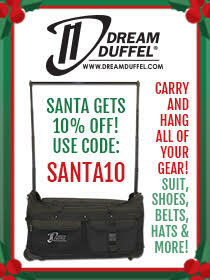 The-Santa-Claus-Conservatory.com is a trademark of Ed Taylor, and all other trademarks, service marks and trade names used on the Service are the property of their respective owners, and all of the above trademarks may not be copied, downloaded or otherwise exploited without the permission of The-Santa-Claus-Conservatory.com or the owner of such trademark, service mark or trade name, except as explicitly permitted in this Agreement. The-santa-claus-conservatory.com, pursuant to 17 U.S.C Section 512 as amended by Title 11 of the Digital Millennium Copyright Act (the “Act”), reserves the right, but not the obligation, to terminate your license to use the Service if it determines in its sole and absolute discretion that you are involved in infringing activity, including alleged acts of first-time or repeat infringement, regardless of whether the material or activity is ultimately determined to be infringing. The-Santa-Claus-Conservatory.com accommodates and does not interfere with standard technical measures used by copyright owners to protect their materials. In addition, pursuant to 17 U.S.C. Section 512(c), The-Santa-Claus-Conservatory.com has implemented procedures for receiving written notification of claimed infringements and for processing such claims in accordance with the Act. All claims of infringement must be submitted to The-Santa-Claus-Conservatory.com in written complaint that complies with the requirements below and is delivered to our designated agent to receive notification of claimed infringement. The-Santa-Claus-Conservatory.com reserves the right in its sole discretion, to amend this Agreement, and to modify, add or discontinue any aspect, or feature of the Service. Such amendments, modifications, additions or deletions will become effective upon notice of that action, which may be provided to you by posting on the Service, via e-mail or any other reasonable means. Continued use of the Service by you will constitute your binding acceptance of any such amendments, modifications, additions or deletions. Unless otherwise specified, the materials on the Service are presented solely to provide information regarding and to promote the The-Santa-Claus-Conservatory.com Service and other products available in the United States, its territories, possessions and protectorates. The Service is controlled and operated by The-Santa-Claus-Conservatory.com from its offices within the state of Oregon, United States of America. 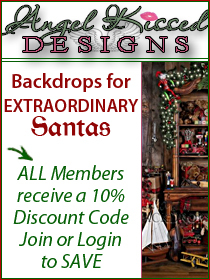 The-Santa-Claus-Conservatory.com makes no representation that materials on the Service are appropriate or available for use outside the United States. Those who choose to access the Service from outside the United States do so on their own initiative and are responsible for compliance with local laws, if and to the extent that the local laws are applicable. Software from the Service is further subject to United States export controls. No software from the Service may be downloaded or otherwise exported or re-exported (A) into (or to a national or resident of) Cuba, Iraq, Libya, North Korea, Iran, Syria, or any other country to which the U.S. has embargoed goods, or (B) to anyone on the U.S. Treasury Department list of Specially Designated Nationals or the U.S. Commerce Department’s Table of Deny Orders. By using the Service, you represent and warrant that you are not located in, under the control of, or a national or resident of any such country or on any such list. This Agreement will be governed by and construed in accordance with the laws of the State of California without giving effect to any principles of conflict of law. Although you acknowledge that we will have the ability to enforce our rights in any court of competent jurisdiction, you hereby consent to the exclusive jurisdiction and venue of courts in Los Angles, California, U.S.A., regarding any and all disputes relating to this Agreement or your use of the Service. You acknowledge and agree that the warranty disclaimers and liability and remedy limitations in this Agreement are material terms of this Agreement to provide the Service. You may not assign any of your rights, obligations or privileges without the prior, written consent of The-Santa-Claus-Conservatory.com. Any assignment of the foregoing other than as provided for in this section under this Agreement will be null and void. If any provision of this Agreement will be unlawful, void, or for any reason unenforceable then that provision will be deemed severable from this Agreement, will be enforced to the fullest extent allowed by law as to affect the intention of the parties, and will not affect the validity and enforceability of any remaining provisions. This Agreement and any posted operating rules constitute the entire Agreement of the parties with respect to the subject matter of this Agreement, and supersede all prior or contemporaneous communications and proposals whether oral, or written, between the parties with respect to the subject matter of this Agreement, and supersede all prior or contemporaneous communications and proposals, whether oral or written, between the parties with respect to such subject matter. No waiver of any provision or any right granted under this Agreement will be effective unless set forth in a written instrument signed by the waiving party. No waiver by either party or any breach or default under this Agreement will be deemed a waiver of any subsequent breach or default. You agree not to reproduce, duplicate, copy, or sell, resell, or exploit for any commercial purposes, any portion of the Service, use of the Service, or access to the Service. The titles and subtitles used in this Agreement are used for convenience only and are not to be considered in construing or interpreting this Agreement.